If you are running Auto Deploy and noticed your VMs didn’t have connectivity after a host reboot or upgrade, you may have run into the problem described in VMware KB 52903. I’ve seen this a few times now with different customers and thought a PSA may be in order. You can find all the key details in the KB, but I thought I’d add some extra context here to help anyone who may want more information. I recently helped to author VMware KB 52903, which has just been made public. Essentially, it describes a race condition causing a host to come up without its vdrPort connected to the distributed switch. The vdrPort is an important component on an ESXi host that funnels traffic to/from the NSX DLR module. If this port isn’t connected, traffic can’t make it to the DLR for east/west routing on that host. Technically, VMs in the same logical switches will be able to communicate across hosts, but none of the VMs on this impacted host will be able to route. The race condition occurs when the DVS registration of the host occurs too late in the boot process. Normally, the distributed switch should be initialized and registered long before the vdrPort gets connected. In some situations, however, DVS registration can be late. Obviously, if the host isn’t yet initialized/registered with the distributed switch, any attempt to connect something to it will fail. And this is exactly what happens. The above message can be found in /var/log/hostd.log. Although technically this problem could occur to any ESXi host with a long delay in DVS registration, it seems to be much more likely to occur with auto-deploy stateless hosts. Because these hosts have many bootup activities relating to host profiles and the distributed switch, it seems that the conditions for this are more ideal. In my experience, this possibility of hitting this issue can vary greatly. There are many factors, but the size of the environment as well as vCenter performance can play a role. One customer I’ve worked with seems to have about a one in five chance of running into this after a reboot. Another customer seems to hit it almost every time. And of course, there are many auto-deploy customers I’ve worked with who have never hit this issue. Unfortunately, this issue isn’t easily idetifyable unless you know what you are looking for. Hosts that come up without a vdrPort do not report any kind of health check error in the UI. From the perspective of ‘host preparation’ as well as communication channel health, the host will look good. You’ll also notice that the vdrPort isn’t listed when you run esxtop and view the ‘n’ screen. Notice it’s listed above with a MAC address beginning with OUI 02:50:56 and a valid switch port number this time. Now obviously, the important thing here is to recognize that this problem has occurred before you move any production workload to the host. I.e. you need to check that the host’s vdrPort is connected before taking it out of maintenance mode. Another thing you can do is create an alert or report in Log Insight to watch for failed vdrPort creation based on the log entries described earlier. 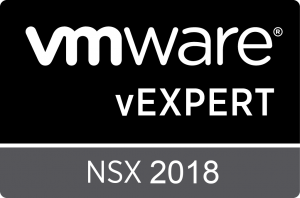 The VMware engineering team is working on a proper fix for this issue that will be released in a future release of NSX, but until then it’s worth doing a quick check on rebooted hosts.